Dr. Benjamin F. Crabtree, PhD, is a medical anthropologist and is Professor and Director of Research at the Department of Family Medicine and Community Health, Rutgers Robert Wood Johnson Medical School. In 2014 he was awarded the prestigious Curtis G. Hames Research Award for lifetime contributions to family medicine research. A primary care researcher in family medicine for the past 30 years, Dr. Crabtree has contributed to more than 200 peer-reviewed articles and chapters on research using both qualitative and quantitative methods, covering topics ranging from time series analysis and log-linear models to in-depth interviews, case study research, and qualitative analysis strategies. Dr. Crabtree has been principal investigator on multiple large National Institutes of Health (NIH) funded grants to test organizational change strategies for enhancing quality of care in primary care practices using a conceptual framework based on complexity science concepts. Known for his expertise in qualitative research, Dr. Crabtree writes extensively in this area, including the book he and William Miller edited, Doing Qualitative Research, now in its 2nd Edition. He was Guest Editor of a 2013 special issue of Health Services Research that focused on the use of mixed-methods in health care. Dr. Hisako Kakai, PhD, is Professor of Intercultural Communication at the Department of International Communication, School of International Politics, Economics, and Communication at Aoyama Gakuin University in Tokyo. Her research interests include culture and its influence on health-related communication and the role of critical thinking in health-related decision-making. As a research associate at the Cancer Research Center of Hawaii in Honolulu, Dr. Kakai gained extensive research experiences in quantitative, qualitative, and mixed methods research projects. She has conducted research on various health- and education-related issues. Among them include studies on cancer patients’ complementary and alternative medicine use, cross-cultural comparisons on cancer disclosure to elderly patients, integrative oncology practice, and culture’s influence on the development of critical thinking dispositions. Dr. Kakai has published numerous articles and book chapters on these topics both in English and Japanese academic journals and books. She co-authored Research Methods in Communication Studies (Nakanishiya), a comprehensive research methods book in Japanese that covers quantitative, qualitative, and mixed methods approaches. She and her colleagues also translated Kathy Charmaz’s book on Constructing Grounded Theory (Sage) into Japanese. Dr. Kakai is currently running a series of articles about mixed methods research for a Japanese nursing research journal. She serves as an editorial board member of Journal of Mixed Methods Research (Sage). Dr. Kamei is Professor of St. Luke’s International University, College of Nursing and she has been engaged in research and education on home care of the older adults as nursing researcher. Dr. Kamei graduated from St. Luke’s International University Graduate School of Nursing (MSN) and Showa University School of Public Health, special student (PhD). Current research themes are Intergenerational day program studies using a mixed-method research, Telenursing and guidelines development for chronic respiratory failure in home care patients, and fall prevention multifactorial program development for urban community-dwelling older adults. Dr. Kamei is President in Japan Academy of Home Care, Director in Japan Academy of Gerontological Nursing, Director & Editor-in-Chief in St. Luke's Society for Nursing Research, Director & Editorial Board in Japan Society of Care Management, and Editorial Board in Japan Academy of Community Health Nursing. Dr. Kamei is a Japanese Society of Public Health Certified Experts and Japan Society for Respiratory Care and Rehabilitation Certified Respiratory care specialist. R. Burke Johnson, PhD, is a research methodologist. He is Professor in the Department of Professional Studies, at the University of South Alabama. He holds three masters degrees (psychology, sociology, and public administration), and his PhD is from the REMS Program (Research, Evaluation, Measurement, and Statistics) at the University of Georgia. He coauthor or coeditor of six books, three of which are (a) Educational Research: Quantitative, Qualitative, and Mixed Approaches (2014, 5th ed., Sage), (b) Research Methods, Design, and Analysis (2014, 12th ed., Pearson), and the Oxford Handbook of Multi and Mixed Methods Research Inquiry (2015, Oxford University Press). He is author or coauthor of numerous articles and chapters and has published in journals such as the Educational Researcher, Journal of Mixed Methods Research, International Journal of Multiple Research Approaches, Quantity and Quality, Journal of Educational Psychology, American Behavioral Scientist, Educational Technology Research and Development, Personality and Individual Differences, Evaluation Review, and Evaluation and Program Planning. 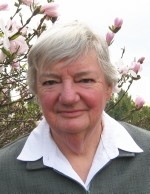 Dr. Johnson was an Associate Editor with the Journal of Mixed Methods Research during its first term (the lead and founding editors were John Creswell and Abbas Tashakkori), and was guest editor of two special issues on mixed methods research: (a) American Behavioral Scientist (http://abs.sagepub.com/content/56/6.toc) and (b) Research in the Schools (http://www.msera.org/rits_131.htm). Dr. Johnson is currently focusing his efforts in the areas of mixed methods research and the philosophy of social science. Pat Bazeley was awarded a PhD in community psychology for an action research based thesis which argued that community development was an effective strategy for the promotion of mental health in a disadvantaged population. After graduating she worked in community development and as a freelance researcher, undertaking projects in public health, welfare, education, law and community studies. From 1991-9 she was responsible for research development and administration for academic staff at the University of Western Sydney, Macarthur. Currently, she is a (very) part time Associate Professor in the Centre for Primary Health Care and Equity at the University of New South Wales. From 2000-2013 Pat provided research training, consulting and retreat facilities for researchers at Bowral, in the southern highlands of NSW. Currently, she provides training and consulting services for academics, graduate students and practitioners in universities, government departments and commercial organisations both locally and internationally. Her particular expertise is in helping researchers to make sense of both quantitative and qualitative data and in using computer programs for management and analysis of data. Her passion is to help people move beyond simple descriptive analyses of rich data. Pat has a particular interest in mixed methods research, where she is exploring tools and techniques for integrating analyses of different forms of data, and the methodological implications of doing so. She is currently on the Editorial Boards for the Journal of Mixed Methods Research and Qualitative Health Research, having served in the past as an Associate Editor of the Journal of Mixed Methods Research. She has published books, chapters and articles on qualitative and mixed methods data analysis. She has also published on immunization services, and on the career development and performance of researchers. 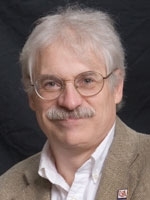 John W. Creswell, Ph.D. is Professor of Educational Psychology at the University of Nebraska-Lincoln and currently serves as a co-director at the Office of Qualitative and Mixed Methods Research at the University of Nebraska. He served as the founding Co-Editor for the Journal of Mixed Methods Research and as an Adjunct Professor of Family Medicine at the University of Michigan where he assisted investigators in the health sciences and education with research methodology for National Institute of Health (NIH) and National Science Foundation projects. He also served extensively as a consultant in the health services research area for the Veterans Administration. Dr. Creswell was a Senior Fulbright Scholar to South Africa and in 2008 and lectured to faculty at five universities on education and the health sciences. Recently he served as a co-leader of a national working group developing guidelines for mixed methods research for the NIH. Dr. Creswell has authored numerous articles on mixed methods research, qualitative methodology, and general research design as well as 12 books, many of which focus on types of research designs, comparisons of different qualitative methodologies, and the application of mixed methods research. His books are translated into many languages and used around the world.